You can find different recommendations for different doctors and clinics about what to do after nasal surgery. Please consider the recommendations of your physician who performed your surgery. (I plan to be in English recommendation page for detailed information about patient care after nasal aesthetics.in the near future). 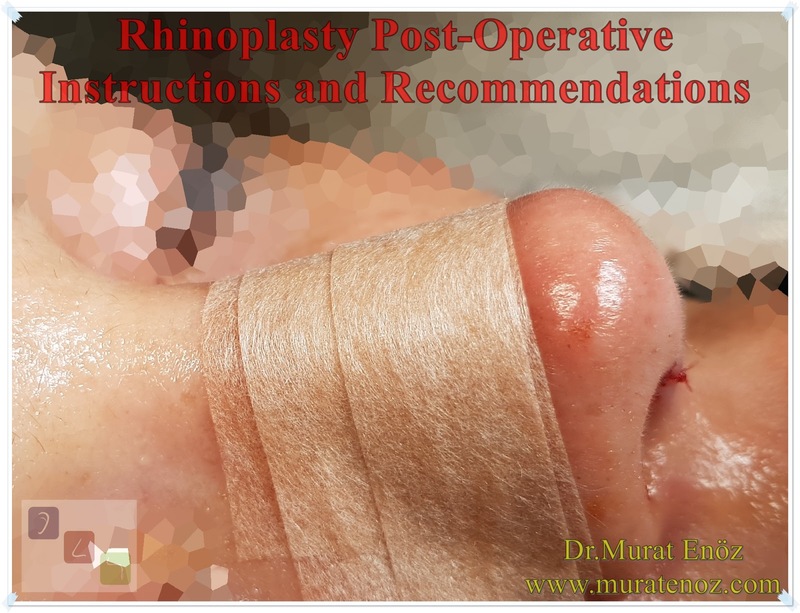 Here I would like to share simple problems and general care suggestions that can be seen after rhinoplasty surgery. Slight or moderate pain and discomfort may occur after surgery. This can easily be controlled by medicines that can be taken orally or by intravenous route. Discomfort and pain begin to decrease within 72 hours after surgery. 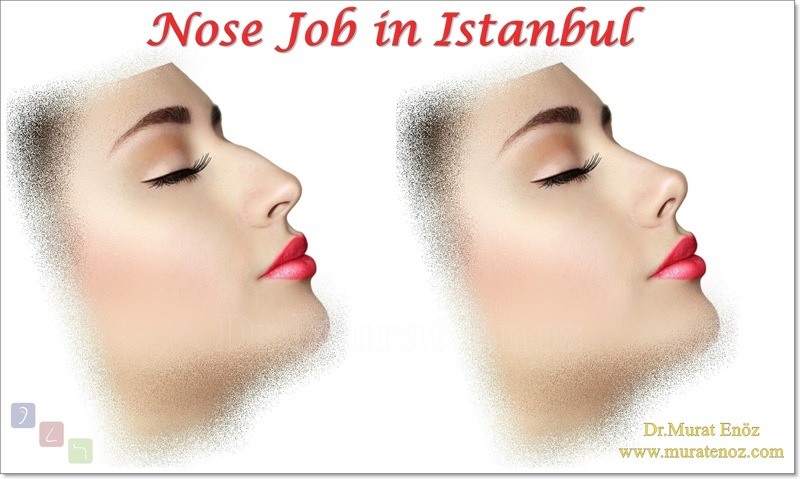 After the nasal aesthetic, the nose bleeding usually begins to decrease after this period. After surgery, morulae and swelling are not uncommon. These symptoms usually worsen on the third day after the operation and then regularly improve. The amount of bruise coming from the square can vary from person to person. Most swelling occurs around the eyes, but some traces of morosa can cause irritation and color the cheek area. If only septum and / or nose tip plasty operations were performed, it would normally be expected to have a mild nasal swelling and occasionally a small amount of bruising. Bloated nasal discharge can be expected after nasal surgery. After surgery, wear a small "mustache" type gauze under the nose. This mustache tampon may be needed for the first 24-48 hours. This mustache may need to be replaced 5-6 times a day. After the operation is completed, a light bandage and a plastic nose bandage are placed outside the nose and silicone splints are inserted into the nose. If only one septoplasty and / or nose surgery is performed, external dressing may not be performed. 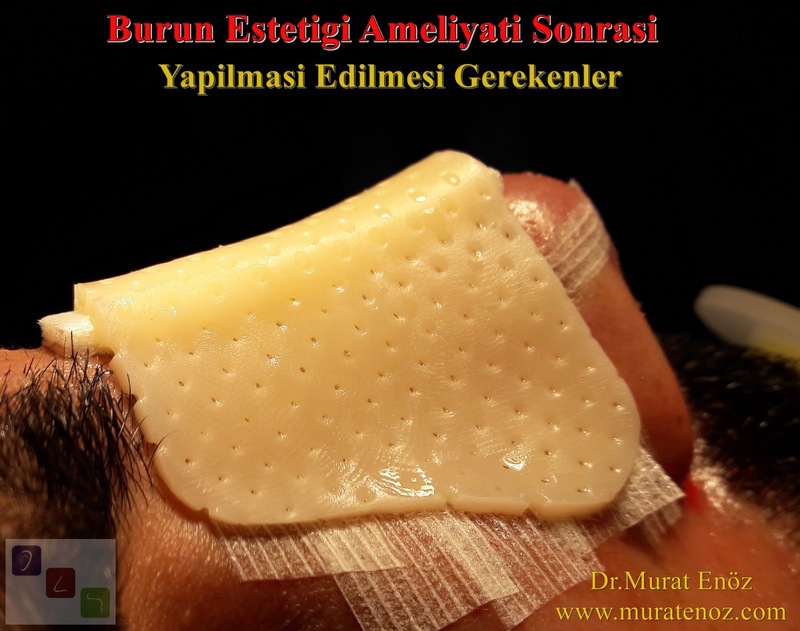 Both internal and external nasal bandages are removed 7-10 days after surgery. In patients with curved nasal deformities and advanced septum deviation, internal or external materials may be retained for longer. Nasal obstruction is the most annoying problem you will encounter after surgery. The first week after surgery may be distressing and is noticeably improved when internal nasal splints are removed. In the case of any nasal obstruction, this obstruction may be expected to improve slowly over the next few weeks. Excess mucus post-nasal surgery is usually seen in the post-operative throat. Because of splints in the nose, the nose causes more mucus production than normal. Once the splints in the nose are removed, these flows are removed. Patients may mistakenly experience this with infections, allergies or colds. Because nose surgery typically causes temporary disruption of some nerves in the region, drowsiness may be expected at the tip of the nose, in the upper front teeth, or in the mouth. Sensitivity usually slows off for several weeks and will rarely last for months (drowsiness in upper teeth after nose surgery, inactivity in upper lip after nose surgery ...). Typically, after surgery, a temporary decrease or change in the sense of smell or taste occurs. This may also occur due to temporary impairment of some nerves in the nose during surgery or temporary change of air flow in the nose. These changes will begin to improve within the first 1-2 weeks after the procedure (taste disorder after nose surgery or decrease in smell after nose surgery). 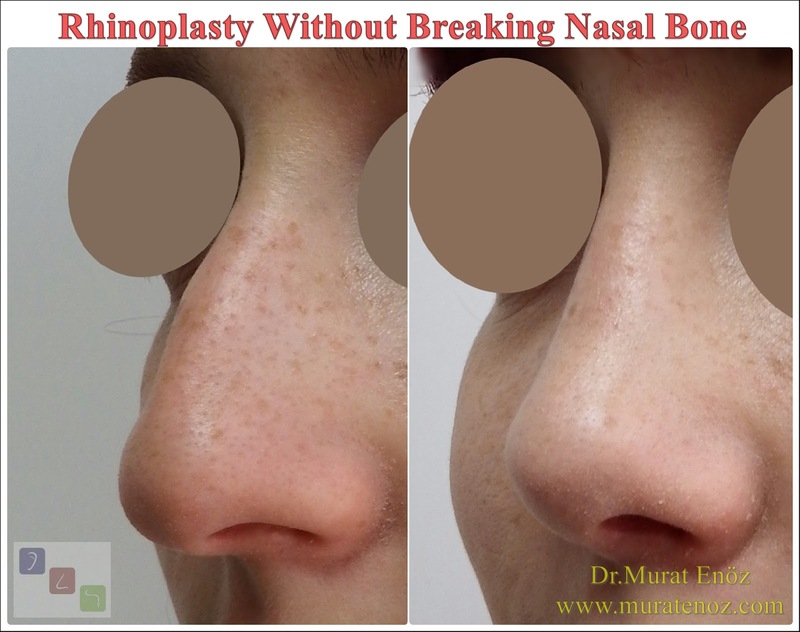 It is very important for you to know that the post-operative edema will temporarily show the nose wider and the tip of the nose will look more edematous than desired. You will often notice that the swimmer in the nose bridge will develop faster than the swelling at the tip of the nose. 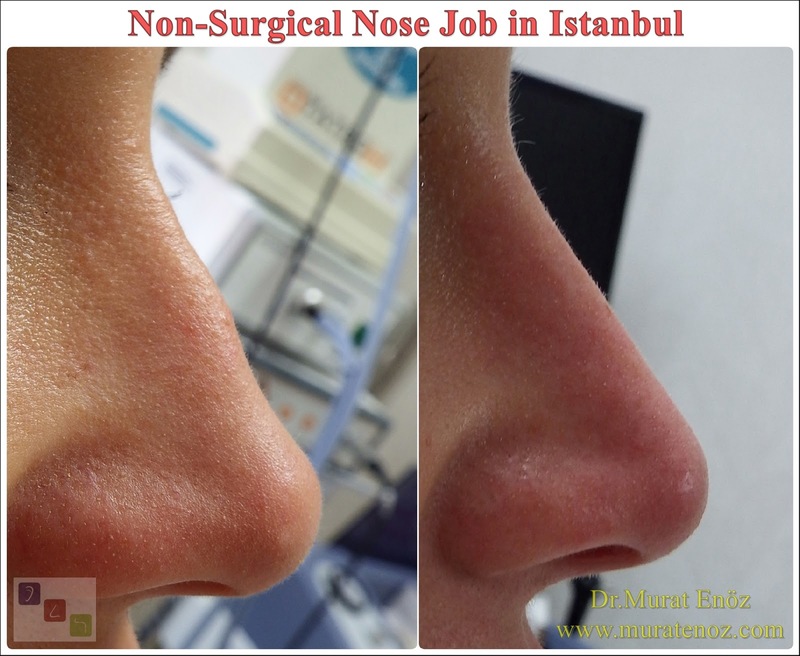 During the first few weeks after rhinoplasty, all the swellings in the nose are recovered in large proportions. 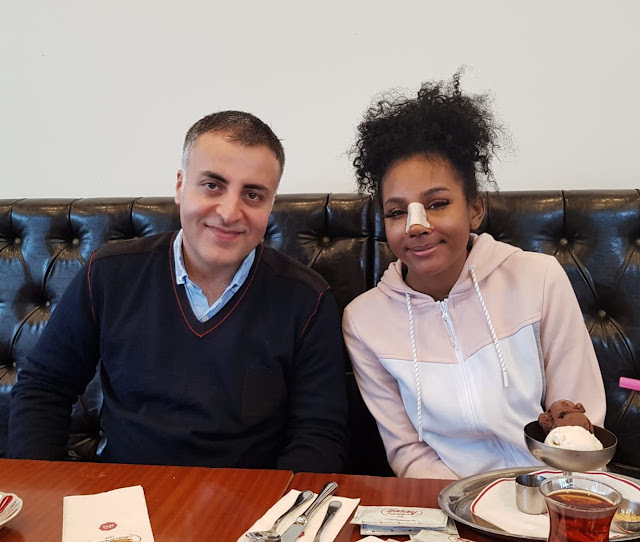 Although most of the puffiness is resolved within a few months, the nose will continue to heal up to a year after surgery. In patients who only have septal surgery, there is normally no swelling outside the nose. In patients with thick, fatty nose skin, the recovery of your swelling and recovery may be up to 2 years. 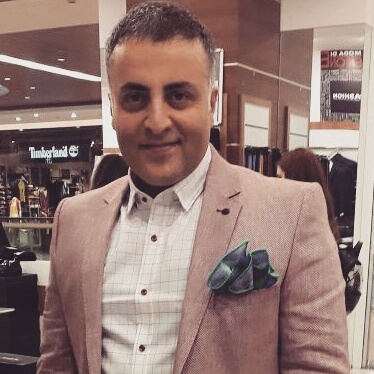 After a nasal aesthetic surgery, the wakeup will be fully explained and then all the medications will be explained in detail by recording with WhatsApp sound recorder or video recording by me or by my asistant. If you smoke, you should not smoke at least 2 weeks before surgery and 2 weeks after surgery. Smoking and chewing can block circulation of tobacco and can severely injure your surgical outcome. Reducing swelling most often can be done by applying ice to the closed cheek area for four to six times a day for the first twenty-four hours after a nasal aesthetic operation. 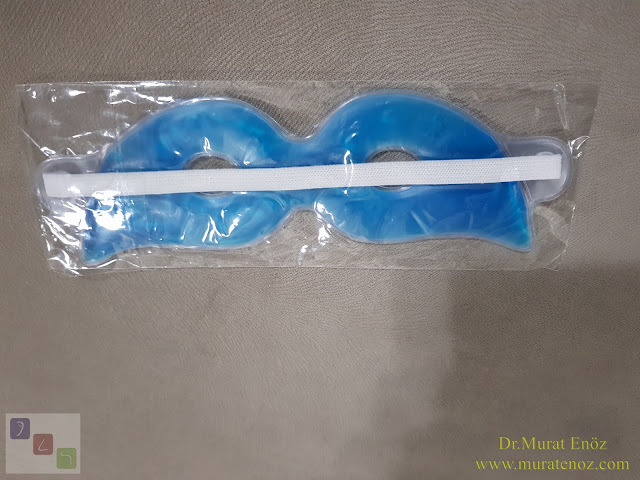 Two ice application bags, wrapped in a sachet or glove, can be applied with a 30 min ice application and a 15 min break. During the first 3 weeks after surgery, the head is half asleep. You should not pressure your nose under pressure for two weeks after surgery (may cause bleeding). If you need to sneeze, sneeze your mouth openly so that any nausea in your nose is the least painful. Do not allow the outer nose bandage to get wet at any time. 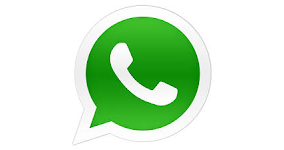 After a nasal aural surgery, the wakeup will be fully explained and then all the medications will be explained in detail by recording with WhatsApp sound recorder or video recording. 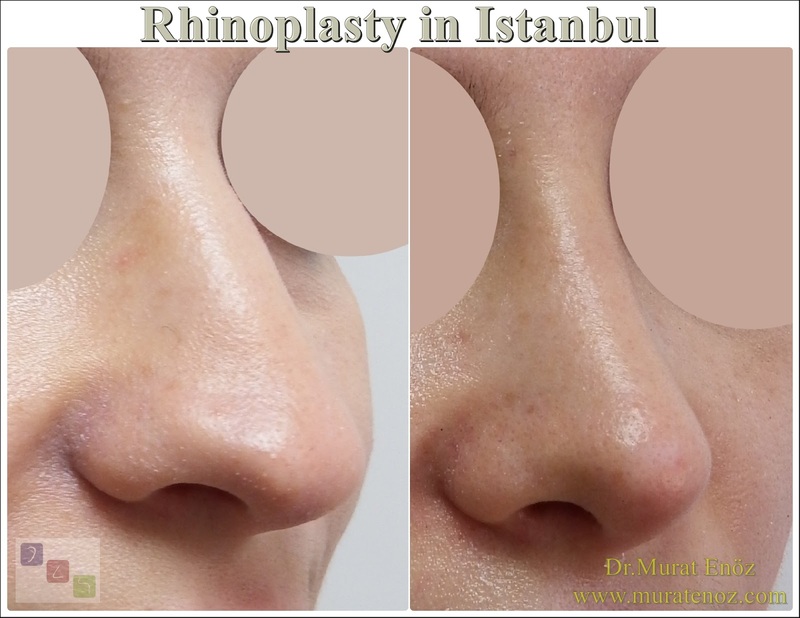 For the first 6 months after rhinoplasty, you should not put your eyeglasses on the bridge of your nose. You can wear a contact lens (or you can use a small tape to hold the glasses, this last option is not practical). Only patients who have septoplasty can take their eyeglasses normally after the surgery the next day. It is important to use sunscreen cream (SPF 15 or higher) to avoid sunlight or block sun rays for 6 months after rhinoplasty. Otherwise, it may cause discoloration of the nose skin. The risk of color change is not high in patients who have only septoplasty. 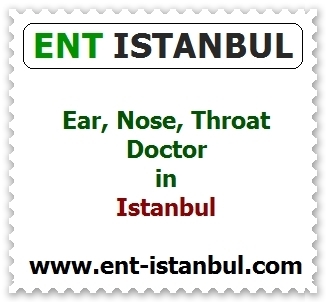 To avoid the possibility of sinus obstruction, it is best to travel by plane before the first week after nose surgery. Generally, these stitches that appear in the nose and tip of the nose, when I use suture materials that melt away, spontaneously fall off within a few weeks and disappear. All sewing areas should be kept clean and dry. You should not do any strong exercise and avoid serious physical strain for at least 3 weeks after surgery, this activity may disrupt wound healing and cause bleeding. You can take a leisurely walk after the first day; sports such as lifting, pushing up and pulling the shuttle and racing will increase blood pressure should not be done for the first 3 weeks. Note that the most common sources of post-operative injury to your nose are children and pets. With the use of regular intranasal saline and moisturizing spray after nasal surgery, you can notice increasing relief in the nasal airway after 3-4 weeks after surgery. Keeping napkins, paper towels, cotton swabs, and fingers and nasal mucosa wet or greasy (using moisturizing drops) will accelerate healing.